Thousands of people face neck and shoulder pain on a daily basis and for many, this is a symptom of problems which can be addressed through chiropractic treatment. Dr. Chris M. Pell, DC at Chiropractic Centers of Ocala treats patients in Ocala, FL and its surrounding areas for many neck and shoulder pain issues using advanced, reliable, and noninvasive techniques. There is a range of injuries and ailments that can result in neck and shoulder pain. Injury and trauma resulting from an accident or situation like whiplash are the most common. Illnesses such as spinal stenosis, osteoarthritis, degenerative disc disease, and similar are other common causes of pain in the neck and shoulders. These are nerve and joint disorders that can cause a range of injuries that limit motion and cause severe pain and stiffness. Finally, life and age can create conditions resulting in pain to the shoulders and neck. If a patient has poor posture, are overweight or out of shape, are under a great deal of stress or tension, or simply are getting older, the joints and the cushioning in the spine can weaken, resulting in pain. When it comes to neck and shoulder pain, a chiropractor is in their natural element. Many spinal injuries and conditions that result in such problems can be treated through expert and careful manipulation of the spine. In many cases, the pain is caused by something being out of alignment, whether it’s a problem with spinal curvature or a slipped disc that needs to be replaced. Chiropractic is an exceptional and effective way of relieving many conditions causing neck and shoulder pain that is non-invasive and natural as well as scientifically sound. When a patient visits a chiropractor to address issues of pain, the doctor will first conduct an interview and survey of the patient’s medical history. Next, the chiropractor will conduct a complete physical and neurological examination which may include testing the patient’s range of motion, spinal curvature and possibly MRI and other diagnostic scans. This will help the doctor diagnose the root condition, so they can determine a precise course of treatment. 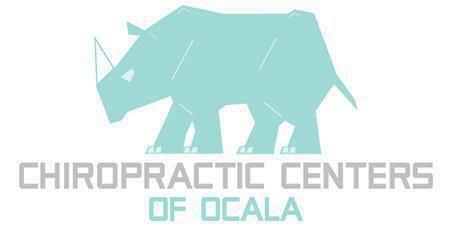 Treatment for back and neck pain at Chiropractic Centers of Ocala could involve spinal manipulation, exercises, physical therapy and diet and nutrition. The end goal is to help patients throughout the Ocala region live a healthy and pain-free life.